Persistently low-achieving public schools around the country have received $5.8 billion from the federal School Improvement Grant (SIG) program, in addition to district and state funds, and other supplementary federal funds. Despite all of these sources of funding, most of the schools receiving them have failed to make a dramatic difference in improving student achievement. 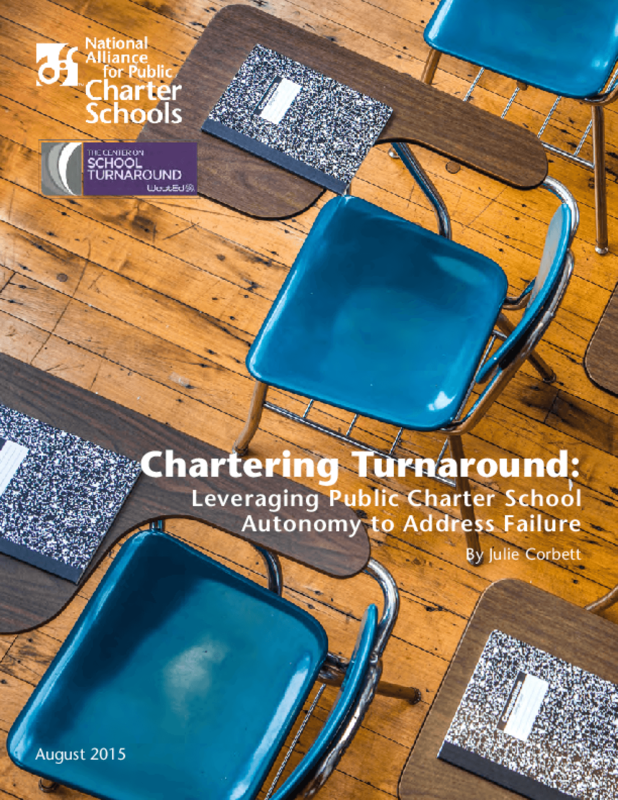 However, according to a new report jointly released by the National Alliance for Public Charter Schools and the Center on School Turnaround, autonomy provided by state charter laws can be better leveraged to improve school turnaround efforts. The report, Chartering Turnaround: Leveraging Public Charter School Autonomy to Address Failure, provides case studies of three charter management organizations (CMOs) that have successfully restarted low-achieving public schools, adding a valuable component to the limited body of research that exists about turnaround models. The report highlights the freedoms that benefit poor-performing schools most significantly, including: the autonomy to hire, retain and reward staff; the ability to adjust the length of school year, academic program and curriculum; and, the option to develop tailored approaches for finances and facilities. Copyright 2015 National Alliance for Public Charter Schools, The Center on School Turnaround.